By Daniel Greene - Lifestyles Editor · January 31st, 2019 at 4:10 p.m.
Students from around the world share their traditional food and talk about God. 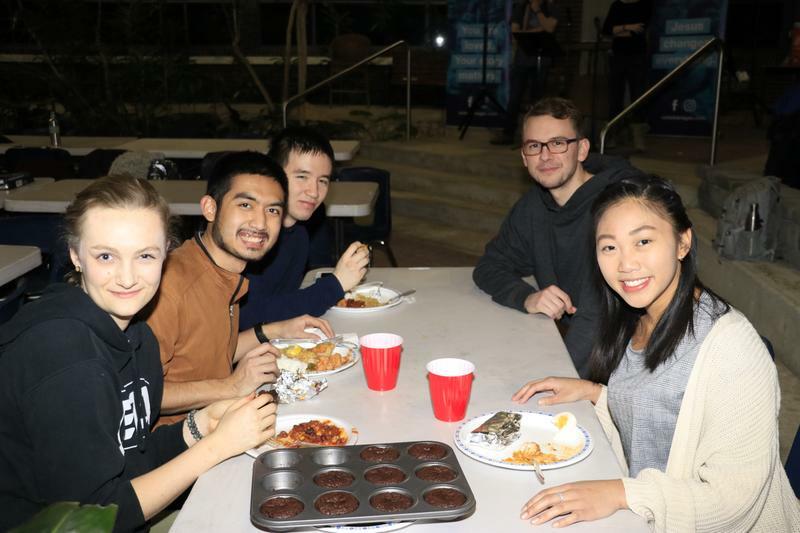 The Arts Atrium was filled to capacity Thursday, January 24, as University Christian Ministries hosted its annual Taste the World event. The goal of the event was simple: to give students the opportunity to share their unique cuisine, and in return, to have the opportunity to try something new. As more and more students crammed into the atrium, rows of tables began filling with trays of food unique to different countries from around the world. Among these were Hutspot, a traditional Dutch dish of potatoes, carrots, and onions; cheese and chicken Chimichangas from Mexico; Burmese curry with onions, tomatoes, fish sauce, and lemongrass; and Filipino pancit, a vegetarian dish described by one of the chefs as a sort of “Filipino chow mein.” Each food station displayed the name and ethnic origin of the particular food item offered up for students along with a list of ingredients. Though these varied widely based on geographic origin, there was one common ingredient across all the dishes: love. 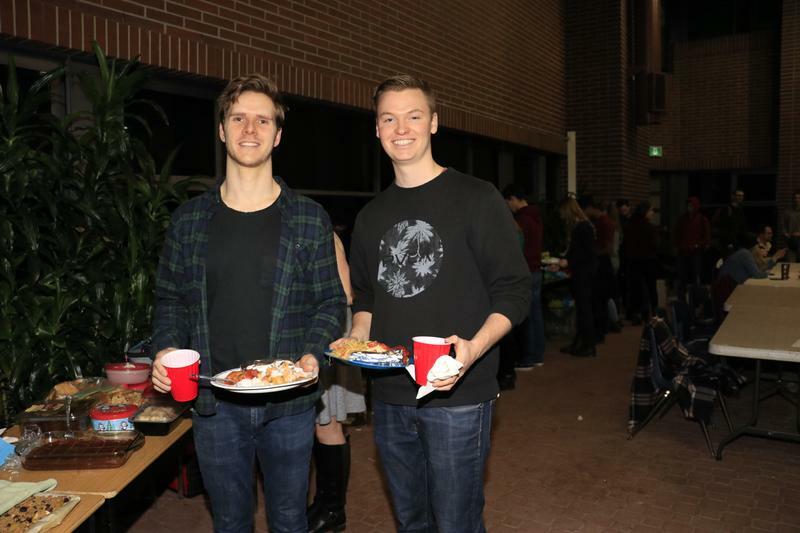 According to Jesse Tearoe, who has been attending weekly UCM gatherings at UBC Okanagan for the past two years, Taste the World is just one of the many great opportunities offered by UCM for students. Besides offering students free food every once in a while, UCM’s weekly meetings are a great way to meet new people and to get more involved in the campus community.